Lighter cars generally require less energy to move, which means less fuel is used in the process. 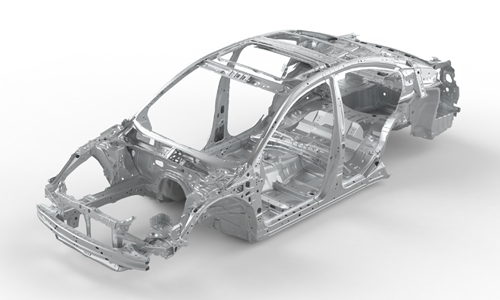 Subaru has developed a lightweight design that helps to improves fuel efficiency without compromising on Subaru’s high safety standards. Super strong high-tensile material has been used in certain parts of the chassis in place of steel plates that are normally used, which helps to reduce weight and increase strength. Driving stability and collision safety are increased while keeping the weight down, which help to bring about better fuel efficiency.